Have you ever come across a product online that looked like it could be the right one for you! Whether it be clothes, toys, video games, tools or electronic equipment. You check out all of the product specifications, and they just all seem to be great, however you have a couple of problems. You have no idea who the manufacture is! Maybe for clothes this is not such a big deal sometimes, however when it comes to tools or electronic equipment that is usually a big issue. Because you do not know for certain what quality of product you can expect to receive. On top of that you cannot find any reviews out there to back up the product. So that obviously puts even more doubts into your head. Even when shopping from a trusted online seller like amazon, or ebay where you know you can get your money back it is still a scary moment to push that buy button, and type in your credit card number. It is really hard to validate product warranties with unknown sellers. You can return it directly to the retailer, but only for a short period of time, but what happens if something breaks down later on? So I had this issue, but I took a risk! The item that I took a risk on was the Worth Garden Pole Saw Compound Action Tree Pruner. It is a pruner and pole saw combination that can really get multiple jobs done. 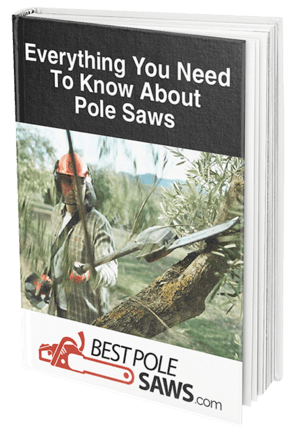 The pole can extend up to 13+ feet so you can prune and saw tall trees. The saw is 14 inches long, so you have a good base to be able to cut. The rope on the pruner seems to be of a greater quality than the one used for many other products. The pruner can cut through branches that are 1 ⅓ inch thick. That is a good range for the typical rope pruners. That usually cannot make cuts of those thicker branches. That forces you to use the saw more often than the pruner. That does not happen in this case. It only weighs around 5 pounds when fully extended. So it can be used by many novice users. It does not wobble when fully extended. So that is also a big plus for many. The pruner’s pulley system can be easily set up and it is more durable from what I have seen than many other products out there. As far as I have seen it is a durable product as long as a people stay within the product’s limits. Is The Lack of Information an Issue? The reality is that it is very hard for a new product to establish itself in any market. Let alone a market that has so many competitors. So the lack of a base to be judged upon is hard to get away from. However I don’t even think that is the biggest hurdle that this product has to overcome. That price for a manual pole saw even if it comes with a pruner is super high in my opinion. Especially for a product that does not have any back up so to speak to be tested upon. The number one best selling product in this category on many online stores is a tool that is more than 50% cheaper than this product. So its has a long way to go to establish itself within the market. As far as I know it does not have a problem long term. It really should not have to at that price it should be able to stand the test of time with no problem. I am ultimately a marketing person so the way that this product is being marketed I don’t think is the best way to go. Not that this should be a knock on the product’s performance in general, however I can totally understand that people don’t want to buy this tool based on the marketing photos. There is a very enthusiastic teen in the pictures that just to give off a great vibe. On the other hand it does show that the product is light, and can be handled by most people. Essentially all of the decisions that you make as far as shopping goes can go the wrong way. That is not to say that we should go out and be scared of making any decision out there. However that is just a reality we are always at risk to make the wrong decision. With the Worth Garden Pole Saw Compound Action Tree Pruner it's really about personal comfort and what gives you peace of mind. This product has a lot of features that can really help you out with your landscaping needs. So if this is a product that you believe can totally fulfill all of your needs I think it is smart to take a chance. Also I really think it is important to point out that this product handles really well! There are not a lot of products out there that are made with these types of raw materials. The Worth Garden Pole Saw Compound Action Tree Pruner uses a fully hardened SK5 steel saw blade. Long term this will probably be a longer lasting tool than many of the other competitors out there. Which means that even if you are going to pay more at first in the long haul this could be a smarter buy! I couldn’t really back the manufacture 100% however all of the info points to the idea that this is a more durable, and better made products. However it is still a bit of a toss up. Like I said if this is a product that fulfills all of your needs then you should totally go for it. Most of the cheaper products that supposedly have the same features as the Worth Garden Pole Saw Compound Action Tree Pruner are actually not that durable. That is actually well documented. I took the risk!